Hi all. My name is Sivia Gold, and you’ve probably never heard of me. I haven’t written any books, produced any DVD’s, don’t have any videos on YouTube, and I don’t have any fancy letters after my name. I’m a bit of a hermit, and I live on 81 acres in the mountains outside of Santa Fe, New Mexico with my two home bred kids, Justy and Sweetie. 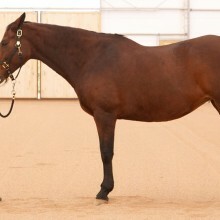 Justy is a 13 year old TB/Hanovarian chestnut gelding, and Sweetie, his half sister, is a 12 year old TB/Holsteiner bay mare. They have been together since I weaned Sweetie when she was six months old. I’m 63 years old and have been living with horses for 55 years, so that makes me a wise old horsewoman, and as far as I’m concerned you can’t get credentials much better than that, LOL! As you read this article, you will see that I refer to the horse in the feminine, instead of the traditional practice of referring to the horse in the masculine. I have always danced to the beat of a different drum, but I also always have a reason for everything I do. So here is why I refer to the horse in the feminine. On the outside, the horse is big and powerful. However, on the inside the horse is kind and sensitive. I follow the perspective that you can’t judge a book by its cover, It’s what’s on the inside that counts. Stallion owners may be unhappy with the horse being referred to in the feminine, but when you consider that mare owners have had to experience the horse being referred to in the masculine for probably thousands of years, it seems only fair. I do, of course, refer to a particular horse according to her/his gender. The horse, by nature, is kind and not at all aggressive. However, due to her size, strength, and instinctive actions and reactions, it is easy for her to accidentally hurt the smaller, and weaker human. In order to stay safe around the horse, it is a common approach to use some level of force, from very mild to very strong and everything in between, in order to convince the horse that the human is bigger and stronger than she is. The BETR Approach (Big Eraser Triple R) uses two ways to stay safe around our horses. The first is to gain knowledge into the nature and psychology of the horse, so that we can understand what makes them act in potentially dangerous ways. The second is to use kind and intelligent methods to teach the horse that BECAUSE she is bigger and stronger than we smaller and weaker humans, she needs to be conscious, attentive and careful when she is around us so that she does not accidentally hurt us. Now that is not to say that the horse will always maintain this state of mind, and there may be times that something out of the ordinary occurs and the horse acts in a dangerous or potentially dangerous manner. This is usually caused by the horse’s fearful nature which might make her spook or take flight, forgetting to watch out for the safety of her human. In this situation, only the amount of force that is absolutely necessary for the human to stay safe is used. 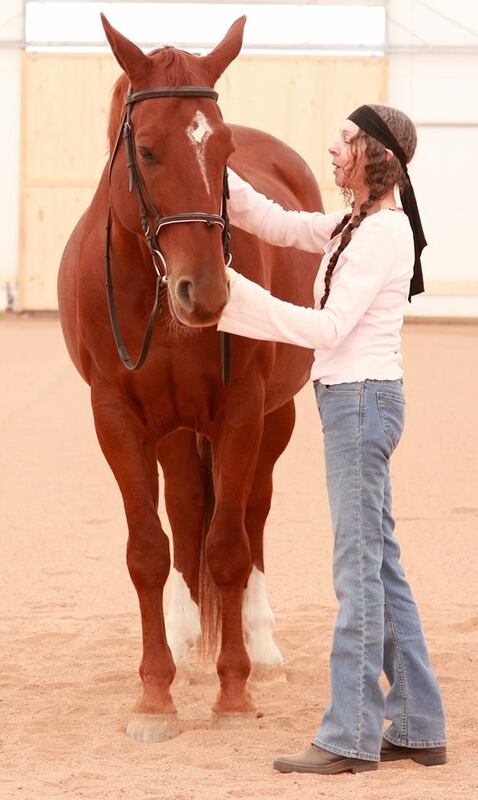 Over time, however, with The BETR Approach, the horse grows to trust her human so much that she will feel very safe, and an incidence of having her fear instincts take over will become a less and less likely occurrence. As you can see by the photos, I am one very puny human with two very big horses. I am 5’3” weighing in at 95 pounds soaking wet, and Justy and Sweetie are both just a hair short of 17 hands. Sweetie used to be so fearful, spooky, unpredictable and quick that I could never feel safe around her. I had to be constantly on my guard for her quick reactions to things “out there”, and she still accidentally hurt me now and then. Her fear has been gradually replaced with deep trust in me. This makes her feel safe and comforted when she is with me. The safer and more comforted she feels with me, the more she is willing and able to keep her focus on me, and the less she feels the need to watch for possible danger “out there”. The safer she feels with me, the safer I am able to feel with her. The more she trusts me, the more I am able to trust her. So the secret to staying safe around the large and powerful horse, is to build a relationship of very deep trust, and develop her desire and ability to stay focused on, and careful around, her puny human.